The following is as stated above; a brief outline of the evolution and domestication of the dog (canis familiaris) for it is without doubt a huge subject but I think a basic understanding can help the prospective owner appreciate a bit more about the ways of the dog. There is now indisputable proof that the dog did indeed evolve from the wolf (canis lupus), the main proof being the study of mitochondrial DNA sequences of 140 dogs,162 wolves, coyotes and jackals (Wayne et al 1997 UCLA). This study traced the female gene path establishing the dog shares a common pool of genetic diversity with the wolf. Debates still rage about when and where the domestication of the wolf actually took place. More recent studies by Robert Wayne et Al, carried out in 2004 at UCLA, looked at the mutation of genes in the domestic dog and came to the conclusion that for the amount of mutations that were showing a time span more like 100,000 yrs would be required for these mutations to manifest. Bones of wolves (not dogs) have been found in association with human remains as early as 400,000yrs Bp in Boxgrove, Kent, England (S.Parfitt) and 300,000yrs Bp in Zhoukoudian, North China (Olsen 1985). Bones of dogs showing clear morphological (physical) differences between them and wolves have been found in the timespan of 10-14,000yrs ago suggesting that we didn't actually start to affect the morphology of the domesticated wolf until about the same time that we started to settle down in permanent settlements, abandoning the hunter gatherer existence. This new sedentary lifestyle would have enabled humans to impose more selective breeding on the wolfdog and given them a new ecological niche. This thinking is born out in the lack of dog skeletal artefacts (clearly morphologically different from wolves) before 14000yrs Bp (Vila et Al 1997). Why would wolves come to man: Possibly the more docile of them found an easy source of food from our early dumps and habituated themselves to us to allow access to it, they learnt that tame and friendly was good for them, and a new ecological niche evolved. Possibly man had family, crops and animals to protect and thought a wolf could be trained for such and went and took a pup from the wild, domesticating it with this in mind. Possibly man and wolf competed at kills for food and they gradually accepted us. Like us wolves are highly social animals and as such this lends them to our way of life and domestication. The scenarios for the above are many and most probably a mix of all happened in different places throughout the world at different times. After domestication started man would have selectively breed for things of importance to them at the time; traits or behaviours like guarding and hunting, breeding from the dogs that showed the best attributes in these areas. This was the start of controlled breeding and this has been going on for at least 10000 yrs and is still going on today; only now with much more genetic control. 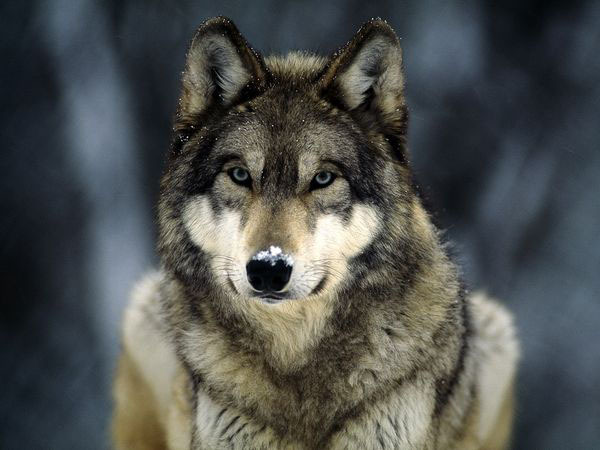 Although the dog is indeed evolved from the wolf some are now at a huge morphological distance from the wolf. The last 150 years has seen the greatest change in the morphology of the dog due to the genetic control of breeders and this has given rise to dogs with a vast array of shapes, sizes and colours. There are some conflicting ideas out there about evolution and domestication of the dog but for sure they have been around for many thousands of years and are here to stay and I hope to make it a better experience for some. Many breeds will have inherited traits and behaviours, born out of centuries of selective breeding, and this can help us have an idea of what to expect with some particular breeds. I must add that all dogs are born with some certain inherited genetic traits or behaviours but how these eventually manifest themselves in the adult dog are profoundly influenced by the environment and early learning that each individual dog goes through; which in the first weeks is controlled by the breeder and for the rest of the dogs life by you, the owner. Where you actually get your new dog from, and how they (the breeder/owner) and you yourself bring your dog up WILL have a major influence on the sort of four legged friend you finally end up with. Imagine how much selective breeding and genetic control has taken place to get from a wolf to the modern Pekinese, in particular the huge difference in size and skull structure, the small head and large eyes; a perfect child substitute and often small dogs are acquired (sometimes sub-consciously) for such reasons. Western society is more and more looking for the perfect lap dog or the latest craze like super small breeds but sadly it is the dogs who suffer for many end up with unwanted side effects due to the continual selective breeding for specific things, like size. Problems like the skull not being big enough for the brain causing much pain (Cavalier king Charles spaniel for instance), breathing problems (British bulldog for instance), joint problems (German shepard for instance), temperament problems (Japanese akita for instance) and behaviour problems (the Staffordshire bull terrier for instance). I would also like to add here that the above paragraph is a generalisation and that there are obviously many good dogs out there of the above breeds but would like to make perspective owners aware of some of the facts beforehand. Temperament and behaviour problems caused by the dogs early learning in life can be hard to correct (often only improved not cured), or better still with a good start, not happen in the first place. Problems due to later learning in life have a better outlook, but temperament and behaviour problems that are genetically inherited and being expressed (I will cover this later) are the ones to be most guarded about. A dog is a great gift to have in your life and I want to help people make the right choices. I know the bond that develops between man and dog and would like to throw all the light I can on this to help people and the dog have a great life together. SO YOU DO OR WILL HAVE A DISTANT DESCENDANT OF THE WOLF IN YOUR LIVING ROOM. For further relevant reading check out my /how-dogs-communicate or /how-dogs-learn pages. Why not take a look at my first book, a realistic novel about a wolf called Elmer, his family and their life. My hope is that after reading this you will learn much about wolves and mother nature, and hopefully come to understand more about where your dog came from.